This year, Sizzix has changed how they do their releases. Now there will just be four releases throughout the year (so they are bigger). This Chapter 1 2019 Sizzix release has some great new dies from some of your favorite designers, such as Tim Holtz, Jen Long, Katelyn Lizardi, and Stephanie Barnard. But we also have some fun new designers that you likely have never heard of, for example Olivia Rose, Georgie Evans, Carrotcake and more. Regardless of what catches your fancy, don't forget to check out all these new designers. I thought I should try some of these new Sizzix dies so I could show you some different projects. 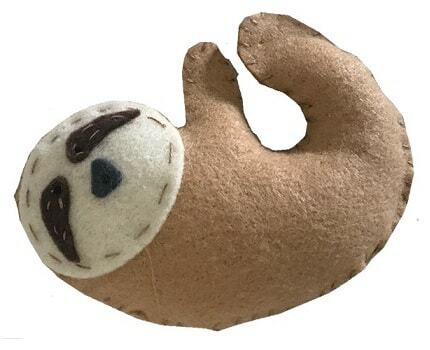 The first project I made was this adorable fabric sloth using the Sizzix Sloth Bigz Die. You can cut felt and other materials with Bigz dies, so don't limit your creativity. This little sloth is made out of felt and I hand-stitched it all together. I'm not much of a seamstress, but even I could stitch this done rather easily. 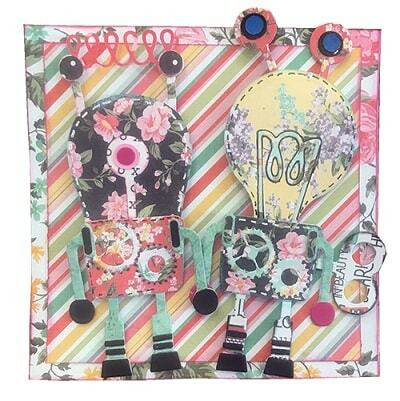 Next we have a couple dies by Tim Holtz. This first one is absolutely among my favorites from this Chapter 1 release. It's called the Robotic Thinlits Die Set, and while they are super adorable with plain solid-colored cardstock, they look great with busy patterns as well. I used the new PhotoPlay Belle Fleur collection for this card. I think it turned out super cute! There are many little pieces in this die set, but I used the Sticky Piercer from We R Memory Keepers to keep everything organized and manageable. The sticky end of this tool worked amazingly well for picking up those little pieces. The second project I made was this super simple and easy card using the PhotoPlay Bunny Trail paper collection, the Critter Sidekick Side-order Thinlits, as well as the Dimensional Domes (also from Tim Holtz and Sizzix). 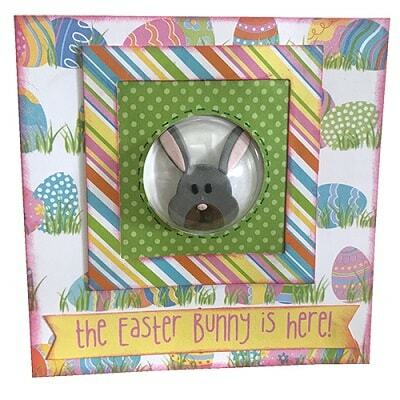 Simply place these fun little domes over the the little die cuts in your project for outstanding results. 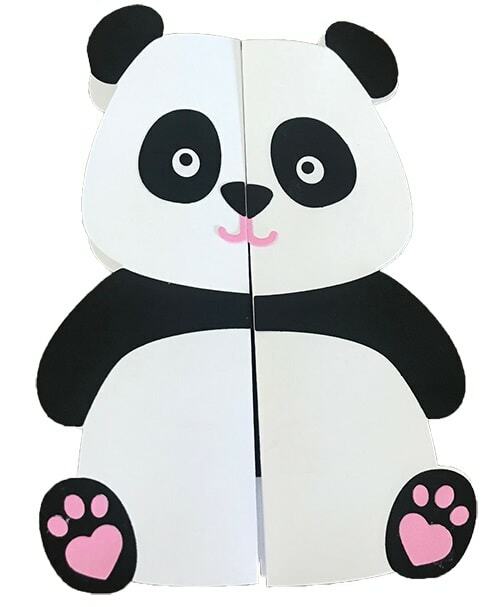 And last but definitely not least, we have the Panda Fold-a-Long Card by Jen Long. I really love the fold a long card projects she designs. They are super easy to make, and when you give them to loved ones they have the appearance that you spent a lot of time, and it was difficult to create, but that's not really the case. The next Sizzix release will be the first part of April, so make sure you check back here mid-March to see all the fun new Sizzix Chapter 2 releases.